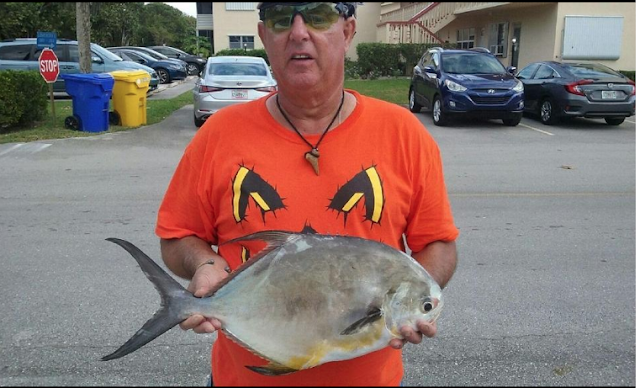 In the St. Lucie and Indian River the name of the game right now is pompano. The bite is fantastic! A guide working with three clients a few nights ago said they caught their limit of 18 fish in under an hour. The hot spots in the river have been Hell’s Gate and Sailfish Flats. Best baits have been pompano jigs or shrimp on jig head. Along the bridges there is still a good bite on black drum and sheepshead. Looking for snook? Fishing the dock lights at night has been working well lately. On the beaches, the pompano action has been nearly as hot as the river. For bait, cut clams or sandfleas combined with clam Fishbites is working. The bass bite has definitely picked up. Anglers working the Kings Bar, Nubbin Slough, Henry Creek and Harney Pond areas are having good luck using Skinny Dippers and Big EZs in dark colors. The bite has been in around 2 feet of water. Take care when setting up in these shallow areas. The spec bite is also picking up. In the Kissimmee River from the bridge to the lake, anglers are faring well drifting minnows in 8 to 12 feet of water. At night the Indian Prairie area has been best for specs. No more Snags with this Float Fishing Rig!